Simple No-Bake Creme Caramel recipe that’s silky, creamy, and rich in flavors. 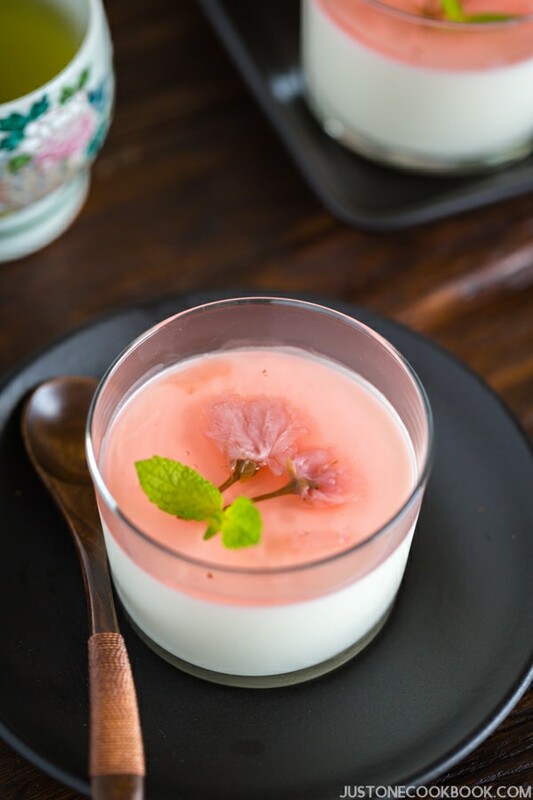 Try this easy and popular Japanese dessert also called Purin and enjoy with friends! Growing up in Japan, three O’clock meant Oyatsu no Jikan, which means “time for snack” in Japanese. I ran home every day after school and looked forward to the day’s oyatsu (snack) that my mom prepared. Once in a while, she would surprise my brother and I with our favorite No Bake Creme Caramel (Purinプリン). It’s a popular chilled dessert in Japan and I’m share an easy homemade recipe with you. It is a custard dessert with a layer of soft caramel on top. 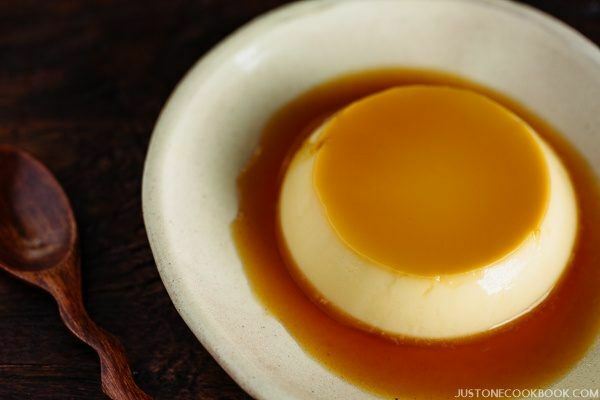 As it’s enjoyed throughout the world, you may call this dessert custard pudding, crème caramel, caramel custard, flan or a different name in your language. 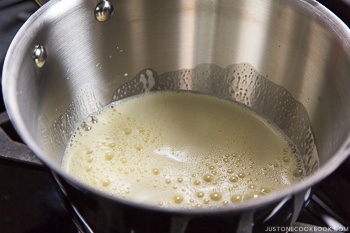 Normally the custard, the mixture of sugar, eggs, and milk (and sometimes heavy cream), is baked in the oven in a bain-marie [ban mah-REE] (hot water bath) before being chilled. Yaki Purin (焼きプリン) – custard cooked in the oven. 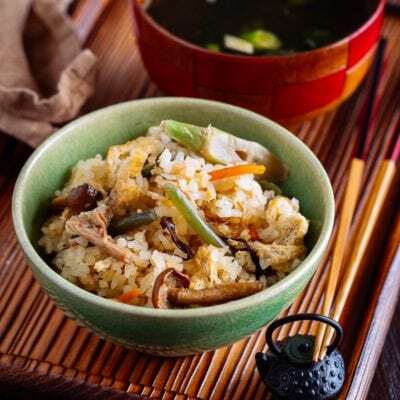 Mushi Purn (蒸しプリン) – custard is cooked on a stove top in a steamer, or in a blain-marie in a pot or frying pan. Here’s my recipe. Purin (プリン) – custard is hardened with gelatin. *Please note that people also call “Purin” even though it’s baked or steamed. Japanese “Purin” available at supermarkets and convenience stores in Japan is all made with gelatin. They are not baked or steamed. If you’re a big fan of those packaged Japanese custard pudding like Pucchin Purin (プッチンプリン), today’s recipe is for you! The main difference from the classic Crème Caramel (Custard Pudding or Flan) is the texture. 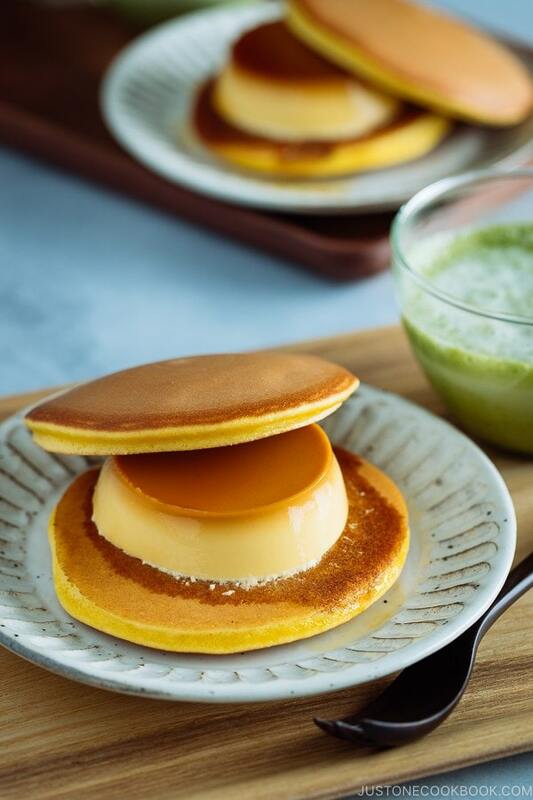 The texture of Purin made with gelatin is similar to gelatin desserts like panna cotta, or French dessert Bavarian Cream, or Bavaria (ババロア) (I hope the comparison helps). It’s silky smooth and slightly firm, with a gentle wobble. 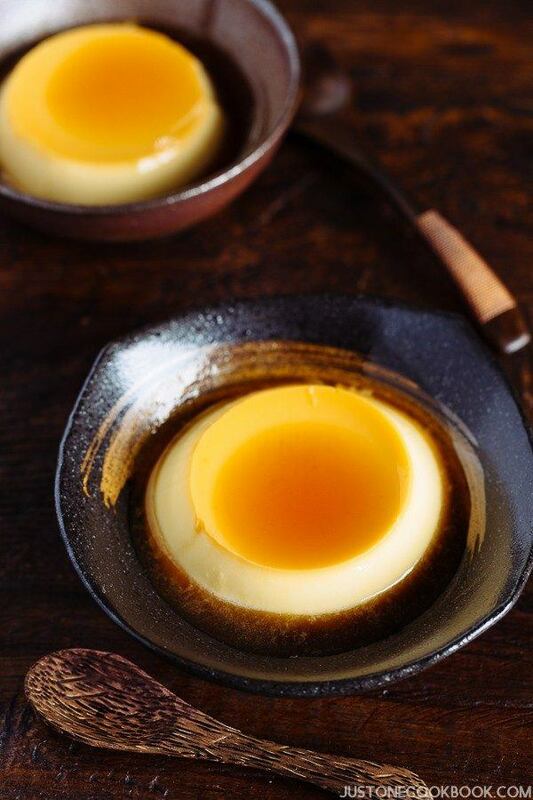 The best part about custard pudding made with gelatin is that you can enjoy the silky panna cotta texture with rich custard flavors, just like the regular Crème Caramel. This delicious dessert is a simple recipe; but it requires some techniques for the following important steps in the recipe. The caramel sauce has to have the right consistency so that when you invert the ramekin, the caramel sauce pours down nicely over the Purin. Gelatin has to be bloomed correctly so that the texture of Purin comes out perfectly. 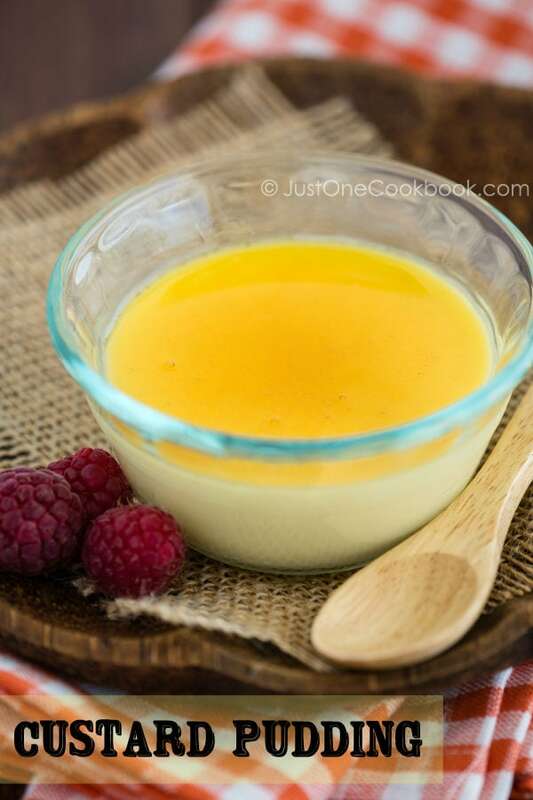 Custard mixture needs to be cooked to the correct temperature before being chilled. I apologize for my lengthy recipe but I hope my tips are helpful. Please read the entire recipe at least once before trying making the recipe. This post was originally shared in 2011 and it was my guest post shared on my friend Jill’s blog Mad About Macarons’ Egg Yolk Recipes series. 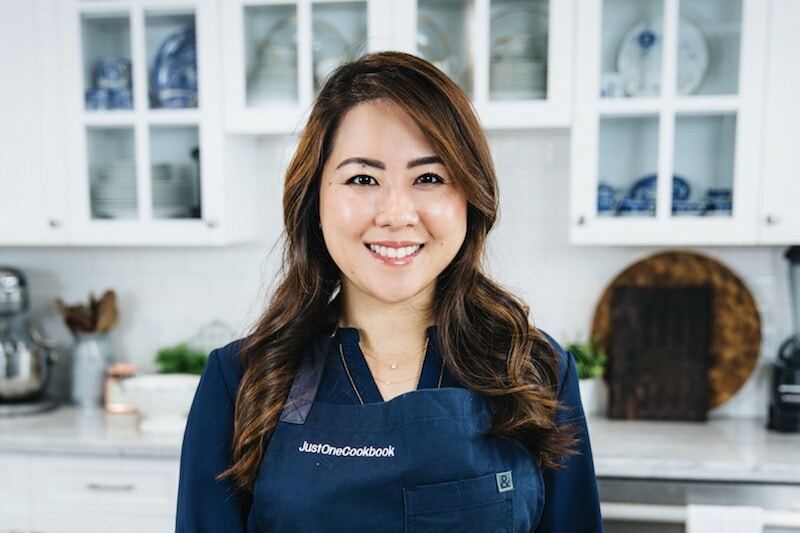 Jill makes amazing macarons and she published her macaron cookbooks (Mad about Macarons! and Teatime in Paris!). With the leftover egg whites from this recipe, you can make Jill’s macarons! I hope you enjoy making this No-Bake Creme Caramel recipe! If you make this recipe, snap a picture and hashtag it #JustOneCookbook. I love to see your creations on Instagram, Facebook, & Twitter! Thank you so much for reading, and till next time! Gather all the ingredients. You will also need 8 4-oz ramekins (4 oz = 1/2 cup = 120 ml). Prepare boiling water (you will only need 2 Tbsp) and a cold damp towel (for Step 4). Combine sugar and water in a saucepan over medium heat. Gently shake the saucepan to evenly distribute sugar and do not touch until the mixture starts to turn golden brown. Gently swirl and tilt the pan again to distribute the mixture to have even color until it becomes amber color (like darker honey color), about 6 minutes. Immediately remove from heat to a cold damp towel and add 2 Tbsp boiling water. It will create a huge splash so please be careful. You can shield with a lid or wear oven mitts to protect your hands. Stir the saucepan to mix together. This will slightly thin out the caramel sauce and ensure that it doesn’t become too thick in the ramekins. Briefly dip the ramekins in hot water to warm up. This will prevent the caramel from solidifying (just shake off excess water and no need to dry). 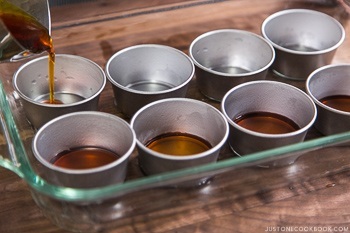 While caramel is still hot, evenly distribute the caramel among the 8 ramekins. Set aside and let the caramel thicken naturally (which is why the caramel will not mix with the custard mixture later). In a small bowl, cut 4 gelatin sheets into thin ½ inch (1.3 cm) strips. Add ¼ cup (60 ml) cold water and set aside for 5-6 minutes until the gelatin “blooms” (expands). If you’re using powder gelatin, combine 3 tsp (10 g) gelatin powder and ¼ cup (60 ml) water and let stand for 1 minute. Then microwave on high for 30-40 seconds and stir. It’s ready to use. Once gelatin sheets are bloomed, bring 1 inch (2.5 cm) of water to simmer and place the bowl of gelatin mixture over the saucepan (double boiler). Make sure to use a heat resistant bowl which is larger than the opening of the saucepan. 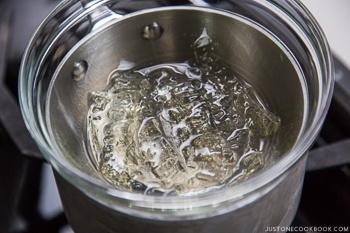 Steam will immediately warm up the glass bowl and start dissolving the gelatin. Turn off the heat and set aside. 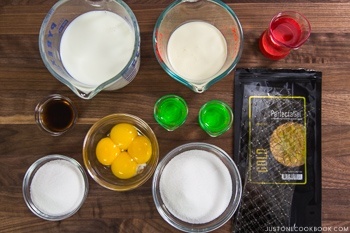 If somehow you end up taking a longer time to do the following process and the gelatin has set into a solid, you will need to melt it back into a liquid with double boiler again. 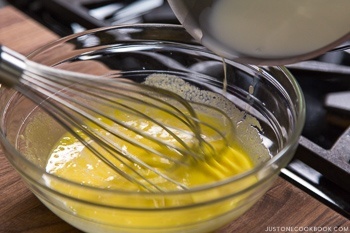 In a large mixing bowl, whisk together the egg yolks and sugar until pale and creamy. In a medium saucepan, heat 200 ml (roughly 1 cup) milk (keep the rest for later) over medium heat until the milk is warm to the touch. 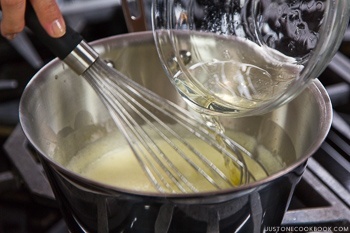 Slowly add the warm milk, whisking constantly (tempering the egg mixture). Pour the mixture back into the saucepan. Cook over medium low heat, stirring constantly (keep an eye on the pot ALL THE TIME; otherwise the mixture will burn on the bottom), until the mixture coats a spoon with a thin film or small bubbles start to form at edges of pan, or reaches 160F (71C). Add in the gelatin mixture and mix well. Remove from the heat. 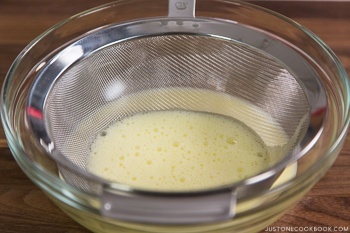 Strain the mixture through a fine sieve into a clean bowl. 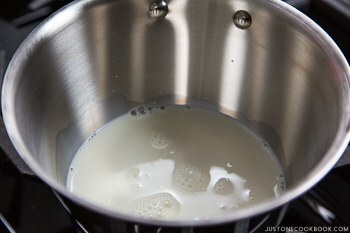 Add the rest of the milk (200 ml), heavy whipping cream, and vanilla and whisk all together. We’re adding them at the end to help the mixture cool down. Divide the custard into the 8 ramekins. Cover with plastic wrap and chill in the fridge overnight or up to 3 days. The caramel on the bottom will become thinner after the moisture from the custard transfers to the caramel. 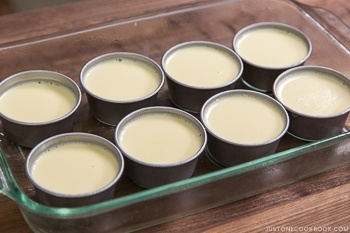 To serve, run a small sharp knife or toothpick around the edge of each ramekin to loosen the custard. Quickly invert each custard onto a plate. If it doesn’t release right away, gently shake the ramekin a few times to help it out. Gelatin Powder/Sheets: 1 pouch of Knox gelatin powder is 7 grams, about 2 ½ Tbsps. You can make it with one pouch. I buy these gelatin sheets. Egg Whites Recipes: Click here. Editor’s Note: The original post was shared on June 10, 2011. The post is updated with new content, images, and video in September 2016. Fabulous pictures that lead to an amazing treat! Have a great weekend! Purin sounds looks like a hybrid between creme caramel and panna cotta since it uses gelatine. Ah, I wasn’t worried at all Nami! It looks great! Creamy, sweet, and decadent! Congrats on your guest post!!! Fantastic guest post, Nami! What a stunning dessert, my friend!!! I can almost imagine the taste, melting in my mouth! yum! OMG this looks so inviting. I’m a million and I have never made Crème Caramel and you have inspired me! Nami, as usual – this looks amazing! Will have to give this one a try! Checking my Foodbuzz comment section, and came upon your newest post…buzzed it, and of course loving it! Hi Tanvi! You noticed? 😉 I couldn’t make nice bokeh.. and it was not easy to take this shiny top food with reflection! Plus…this dessert looks so simple by itself so I had to come up with extra fruits…. I’m used to more close up shot so I struggled. Haha. Have a great weekend! Wow Nami this is really amazing..what a delicious sweet treat!Congrats on the guest post..I will check it out! I am digging your photos..yummy! A+ Nami! This looks creamy, silky and delicious….a perfect guest post! Your pictures keep getting better and better! Bravo. You know, I think I love every single thing that you make. I want to move so I live closer to you. I need all that yummy food. You’ve done such a great job with this guest post! Love everything about it! And the pictures are just gorgeous… Great post, Nami! This is one dish that is probably eaten in every country (unlike salted eggs). Filipino version is baked or steamed and uses milk. I like your version though. Very creamy, like crème brûlée but set with gelatin. I like the caramel dark, too. MMm! Nami, these are so tempting. Gorgeous photos, once again. Don’t you just love Jill? She helped me conquer the Macaron. We’ve not made any recently as the schedules have just been crazy, but in 5 hours (who’s counting???) it will be summer vacation and my daughter and I are going to turn to the kitchen in the next few weeks. Love this caramel! My son will truly appreciate it!! You’re far from being in danger for losing any readers here but I thought it was funny that you said that. 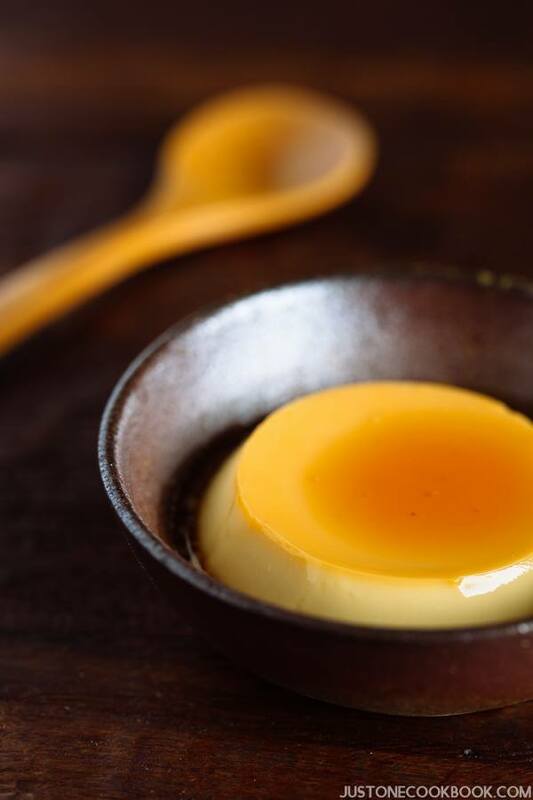 🙂 Creme caramel is such a perfect recipe to use up those egg yolks and you’ve done a great job here. They look so perfect. Pretty pictures, Nami! Hi Nami! Congrats on the guest post! I love your photos! What a wonderful presentation! Creme caramel is one of my favorite deserts! We call it Pudim in Brazil, quite similar with Purin. Have a wonderful weekend! This is my all time favorite Asian dessert! The photography’s just BEAUTIFUL and make me want to eat one right away. Normally I buy them at little hole in the wall Vietnamese eateries, though yours looks so much better! Wow Nami this looks so beautiful!! Your family is so lucky to have such gourmet food every night! This is called lechetin in the Philippines which is the short cut for leche flan with gelatin. This is my mother-in-law’s specialty but I haven’t tried making it myself. I always prefer the thick and creamy Filipino leche flan over lechetin. But I must say your Purin looks so perfectly delicious! 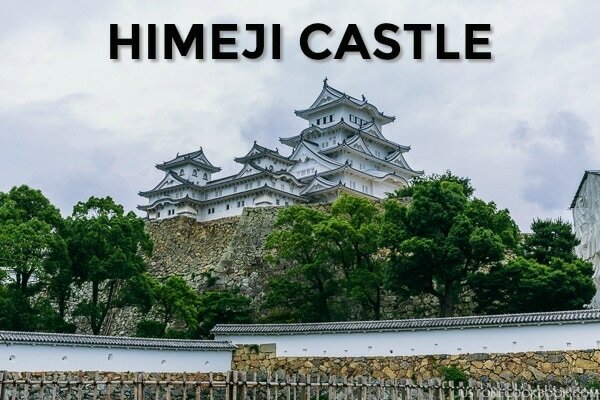 Great job on your guest post, Nami! Looks great Nami! I like the darker caramel too. I went through a phase where I was obssesed with flan/purin and would make it all the time! You might have re-awoken my love for it. In my opinion you can bake any day! Oh, you know I love love love eating purin. But I have to tell you that this picture is super yummy ; ) I wish I could keep this picture for my computer screen saver. Yes, I love that much this picture! Oh this is perfect! Wonderful pictures, amazing flavors – great post!! Nami, you amaze me!! And you dare say you lack the baking skills? Mixing a cake mixture and putting it in the oven is nothing in comparison with making a good crème caramel! And your crème caramel looks divine! Perfect! Like from a French restaurant (I don’t joke!). You are an extraordinary cook! The photos are breathtaking! Congratulations on your guest post! Regarding the Japanese plates and bowls, I sometimes bring a couple back form my home in Japan, or buy some and bring it back. 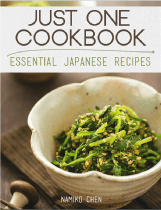 However, most of Japanese dishes are from DAISO (Japanese $1 store). Dishes are not really $1, but probably less than $3/piece. They are not fancy plates/bowls, but for food photography, I buy these to make it more “Japanese”. My daily dishes are pretty much white plates that we buy here in the US. 🙂 I go to SF store but today I learned Daiso has an online store (link above)! brought here through Kay Yamazaki Ecker’s facebook page. The Flan looks beautiful and very similar recipe to my Tia Frances’ Flan. Love the addition of berries the photos are great. Yum can’t wait to try your recipe. Thanks for sharing. This looks beautiful!! I def will have to try this one. Nice job Nami! This looks so creamy and perfect and delicious. YUM!!! I love custard Nami and I want to just grab a bowl and enjoy 🙂 It’s looking so delicious ! 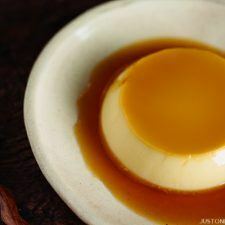 I love Creme Caramel, great idea for using up those egg yolks! Jill, thank you so much for having me on your blog! It was such a fun experience! Haha, I wish I’m hiding my sweets making skills! You will have to wait a little more to see my baked stuff…hopefully I can learn when kids grow up a bit and I have more time to bake, not just cooking dinner everyday… Thank you again!! What an incredible dessert, I love creme caramel. You photographed this post so beautifully too. Nami, the pictures are simply wonderful! Loved the elaboration in describing the recipe. It really helps. 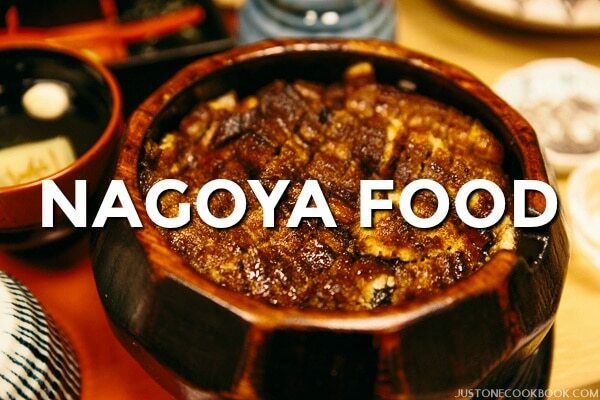 Saw this post’s photo in foodgawker too! Congrats!! This looks so pretty Nami! Good job 😀 Thanks for sharing the recipe too! Nami, the creme caramel looks impressive and nicely presented. This surely will receive lots of compliments. 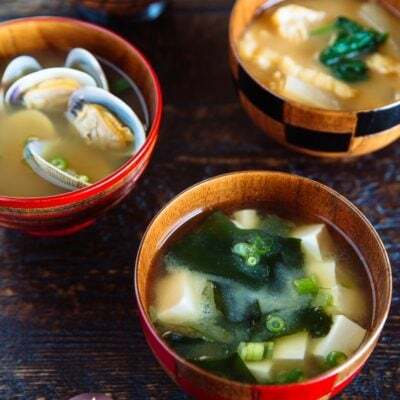 I know I say this every time but I am really in love with your pictures..you should write a post about photography..I wish I can get my pictures to look that good..
Yum, Nami….This looks so good…! I have thought about making this when I saw the video in CWD, but I got too lazy in the end to make it ;)! I wish you lived nextdoor that I could just pop in and steal some of your puddings ;)! Hi Nami, This is looking Gorgeous. A very well made post with beautiful pictures. Loved the new combo of ingredients and the recipe is so nicely made and presented. Its always fun to see ur appetizing recipes.Saving this recipe of urs and wud love to give ur version a try on the coming weekend. Have a great day….Sonia !!! 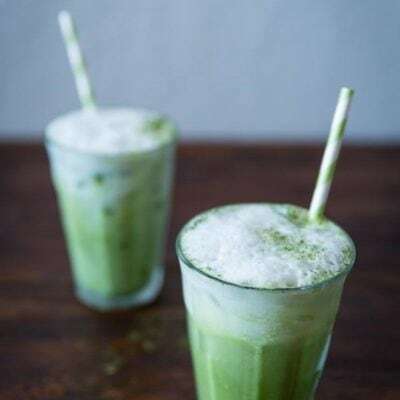 Hi Nami, this is my first visit to your blog and I’m enjoying your gorgeous photography and delicious sounding recipes! I’m looking forward to coming back! The Creme Caramel looks so beautifully presented! I love creme caramel, in fact what a coincidence I have a nearly similar post yesterday and its called leche flan (the Filipino version of creme caramel). I love its creamy smooth taste. Thank you for the wonderful photos! I’ve always been intimidated by creme caramel but your photos make the process look very accessible! This comes in handy! I always wonder what to do with leftover egg yolks! I didn’t open fbuzz until this morning and what a nice surprise…Congrats on top 9!! this is one of my most fav desserts, too! Fabulous stuff! Woo hoo another Top 9 for you!!! This is a gorgeous and mouthwatering Nami. We’re going to make a baker out of you yet. LOL!!! Looks so so perfect! Flawless! Nami, you did such an amazing job with these. They look beautiful and sound absolutely amazing!! This looks gorgeous, and I’m not a big fan of créme caramel! I think my husband would lick the plate clean if I served this to him! Now this is something I would love to have right now 🙂 It looks so beautiful and yummy! Creme caramel is my favorite thing to get from a Japanese bakery. I wish I could have some Torufuwa (sp?) pudding, but this is as close as I can get. I’m in love with your blog. Bookmarking this. Thanks for sharing! Nami, I just made this purin and it was AMAZING!!!! I have tried several other recipes in the past but this one was by far the best. Thank you so much! (I just blogged about it too at http://wp.me/p19XPp-gU). Hatsuho, your Purin looks delicious!! I’m so glad that you liked this recipe! 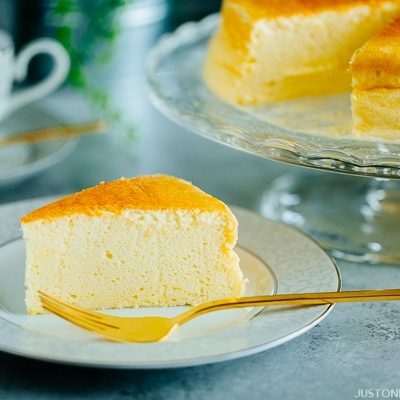 We shall continue to enjoy this purin recipe… 🙂 Thank you for linking back to me! Hi Nami, me again 🙂 I’ve made this recipe several times now, and I think there is a mistake in the ingredients. You have milk listed as 400ml (3/4 cups). According to my measuring cup, 400 ml is about 1 and 3/4 cups. I think maybe you just forgot the 1. That may help people who are using the American measurements. This is a beautiful recipe – delicate and balanced with wonderful flavours. 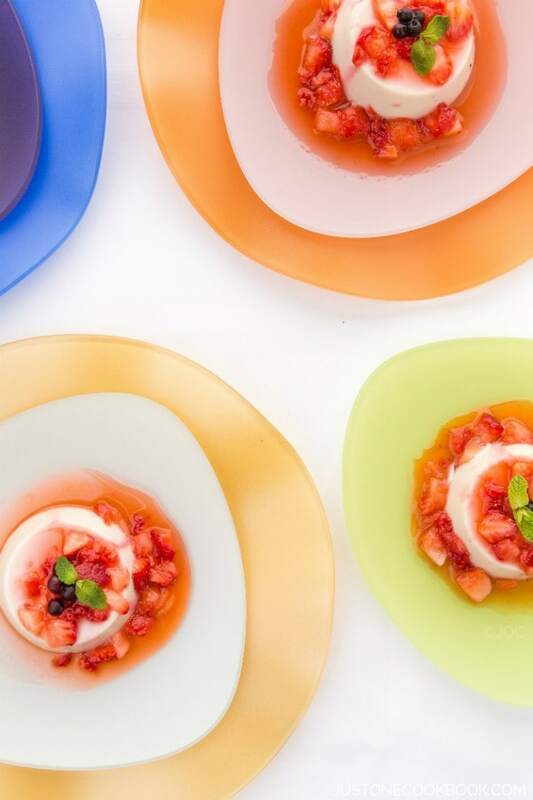 Could you use agar instead of gelatin? By the way, this is my favorite place for incredible recipes! Thank you. Wahh! Thanks so much for sharing this, Nami. It reminds me of my time living in Japan. Now I can enjoy the purin that I always loved to eat any time I want! It looks so delicious! But can I replace the gelatin with Agar? would the amount be the same if I substituted the gelatin with agar instead? Hi Sam! Yes, you can! 🙂 I read on websites before that agar agar and gelatine should be replaceable (same amount). I actually haven’t made this with agar agar, so I can’t confirm. 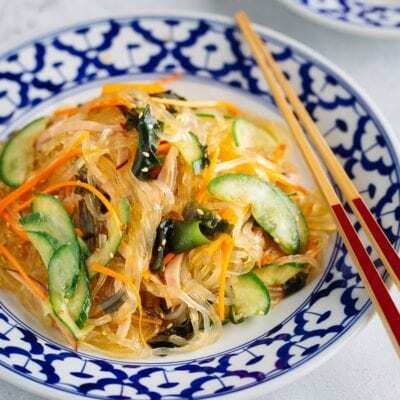 Would you give it a try and let us know if you make this with agar agar? 🙂 Hope you enjoy this dessert. One of our family’s favorite! Hi! Great recipe! I only want four servings because I’m making it for an exam. Can I half the recipe? Can I use gelatin leafs instead of powder? And how many leaf should I use? I know this is an older recipe but I just came across it. I tried it last night and found the texture and flavor to be perfect! I can’t wait to try some other recipes on your site. May I know what size ramekins did you use? 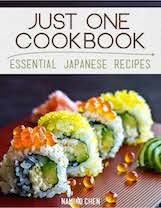 Hoping to make this soon. Thanks! Another thing I have always wanted to try, I can’t wait to try it! On a side note, I wanted to say thank you for giving me advice for the tamagoyaki that I asked you about, I couldn’t reply for some reason. And on that note, thank you for *all* these lovely recipes! Yeah, I know Jill from the first year of my blogging. I’ve been friends with her for more than 5 years. She’s such a wonderful person and I really wish to visit her one day and meet in person. I wished that you could see her too. Interesting recipe. It looks like our “crème caramel” which is cooked. I shall try yours…quickly done but the taste ??? About gelatin…how many gr for one sheet please ? I shall try your recipe soon. Custard pudding! Looks really good! 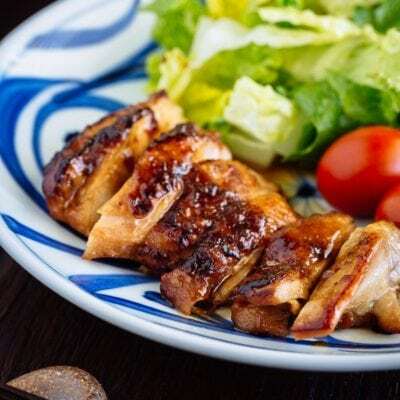 i would love a なめらかプリン recipe!! i made this and it came out great, thanks for the recipe! Your pudding looks amazing! Can’t wait to try it for my grandkids! :) thank you! Pinned! Bobby and I are both huge custard fans – flan, puddings, creme brulee and now this Japanese pudding. It’s mighty scrumptious Nami! And the caramel sauce – YUM! Hey Nami, I just prepared the caramel sauce and am about to start the custard. I forgot to buy vanilla, is it ok if it’s omitted. I don’t mind if the flavour is different. Thanks! Hey Nami, thanks for the reply! It actually turned out really wonderful despite making a mistake of turning the heat on too high while heating the egg/milk mixture. The egg clotted, but luckily I used my sieve to separate the liquid and used that as my custard. Since I didn’t have vanilla, I used a tiny amount of cardamom powder. It was a great success! Thanks for sharing ???? Thank you for sharing this, especially with the pictures! I can’t wait to give this a try. Nami..I’m a big fan of ur blog.. I’ve made this pudding 3 times already, but instead of using ramekins like yours, I used tea cups. 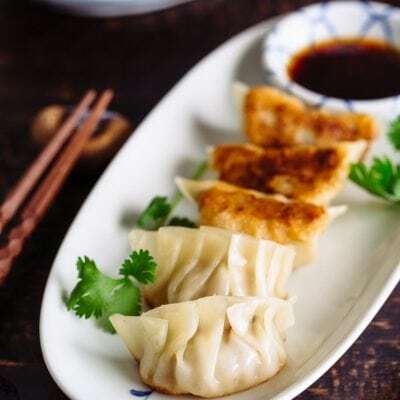 Very delicious recipe, my daughter loves it so much. The only problem is, I always have about 1/4 part of the total caramel in the cup stick to the bottom of the cups, I tried my best to follow ur direction. What do u think went wrong? Thank you. Most of the caramel is liquid and we can enjoy it with the pudding, but there were always some solidified caramel at the bottom. i had to heat it in he microwave to liquidify it and wash the cup. i’ll try to add more hot water next time. Thank you for ur help. The recipe looks delicious! Quick question, can I put this in the freezer to speed up the process? Hi B! Thank you so much! I don’t recommend using freezer for a couple of reasons. 1) You will ruin the frozen food by putting the warm/hot food in the freezer (decrease the freezer temp). 2) Home freezer has a lot of food in it and it has certain smell. 3) IF you forget to take out in time… your hard work will be wasted… you have to keep checking the freezer and that is not good to keep the freezer temp. What is the notes for egg white recipes? Hi Nami ! I’m glad that I found your page via YouTube. 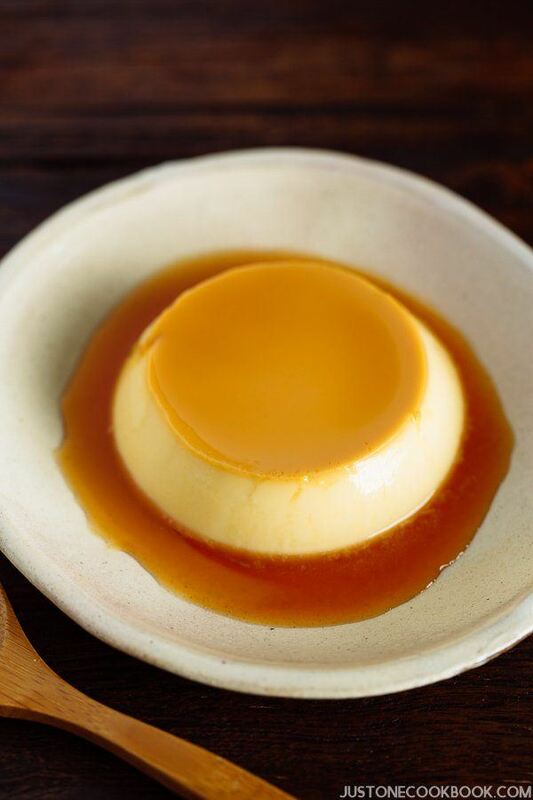 I would like to serve my guest for about 200pax of No baked creme caramel Japanese Purin. Should I do by 2 batches with 13times of your current recipe (serving: 8) ? Can i keep in freezer ? Hi Sue! So you’ll need 200 purins! WOW!!! Unfortunately, I am not sure about freezing this. you can try doubling the ingredients to make faster? Today i feel like i have to comment some recipes that i’ve tried. Well i am too excited so i always forgot to take a pictures. And it because not that good looking so i decided not to take a pictures. But i’ll try more and snap it to my instagram. The first time i make creme caramel i failed. And when i found your recipe and i try it, it works. Not as good looking as yours but it taste so good!!! This is my everytime favorite dessert where ever i go to japanese restaurant. I always order this for my dessert!! ???????????? Hi Ajeng! I’m so happy to hear you tried this recipe and yours came out successfully! It’s the best feeling to be able to make and enjoy your favorite food right in your own home! Thanks for trusting this recipe and making it. Don’t worry about taking a picture – I enjoy listening to your success story more! 🙂 Thanks for your kind feedback. There’s a Japanese take out place where I sometimes order lunch. They include this wonderful flan and I absolutely love it. I’ve made flan the oven way, but your wonderful video and pictorial is so well done that I know I can do this! As soon as the Thanksgiving holiday is behind us, I’m making this. Thank you! 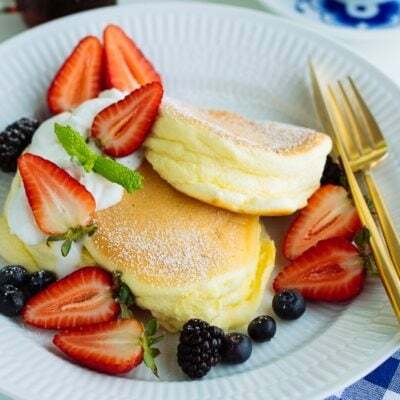 How do i make that with the Chocolate sauce or chocolate something on top… like one from Giga Pudding (Remember that pudding making kit from takara tomy?) or one from the other brands? Hi William! I actually never tried Giga Pudding before… is it like melted chocolate? Maybe melt the chocolate and milk together over double boiler? I think it has to be thin, so you will need milk or heavy cream to make the right consistency.